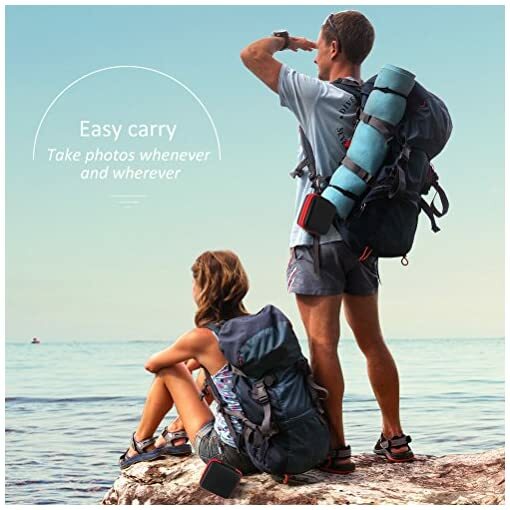 ♥ Premium Image Effects: Telephoto lens for distance view. Wide Angle lens is great for group shot. Fisheye Lens create funny circular pictures. Star Filter Lens add a dramatic star flare to very bright areas. Kaleidoscope Lens show overlapping vision. 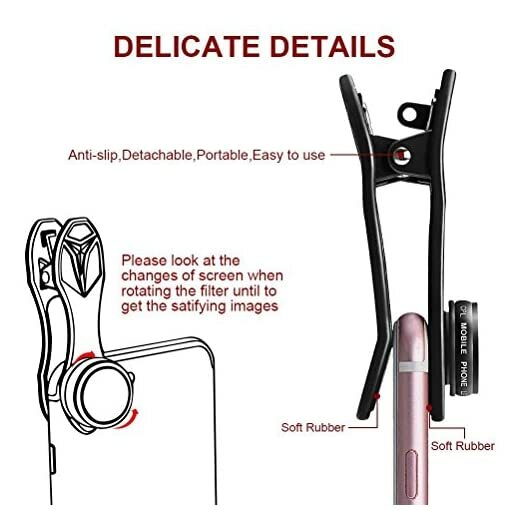 ♥ Universal Clip on Lens: Our universal clip designed with anti-scratch & anti-slip pad helps keep the clip firm to your device, which is compatible with all kinds of mobile phones. 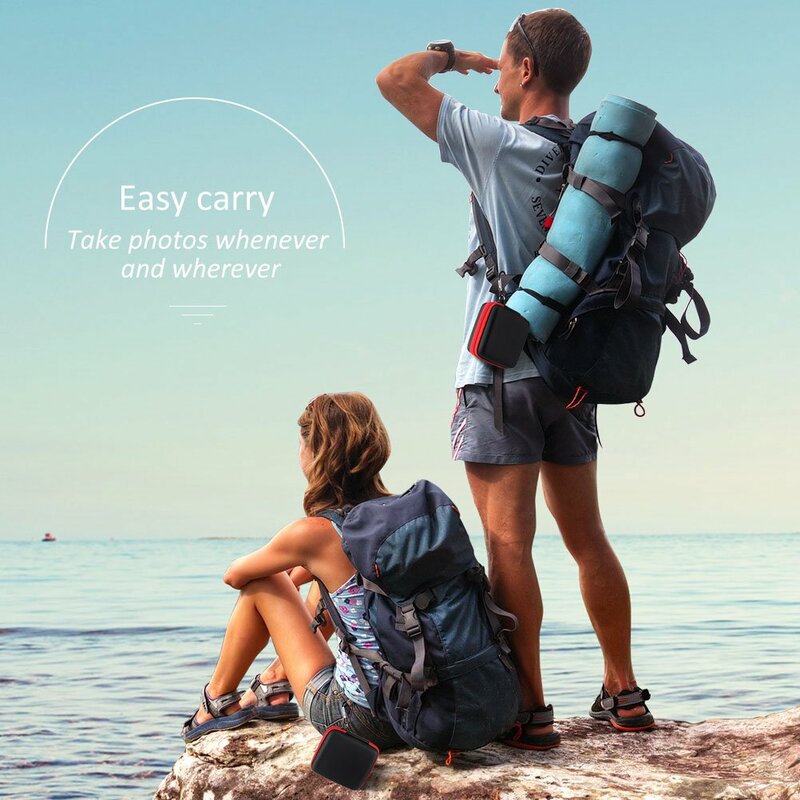 With a portable case, you can take it anywhere. Perfect gift. 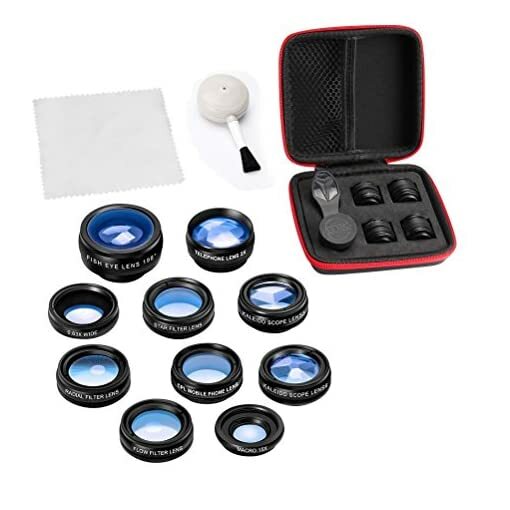 ♥ User-Friendly Design: You can take this camera lens kit in your bag or pocket for easy shooting. 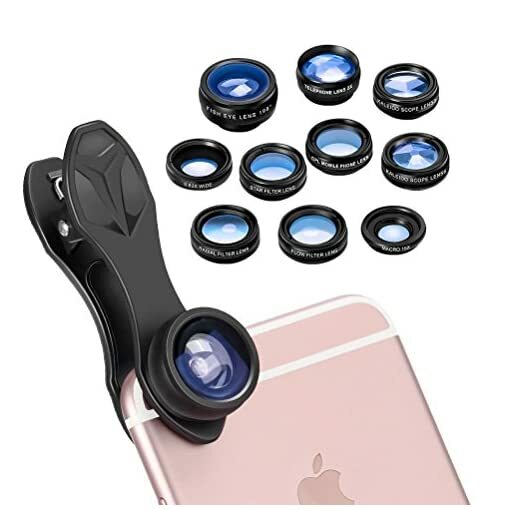 Just simply attach lenses to the clip and install on phone’s camera, it will capture clear images in different effects instead of fixed perspective. ★15X Macro & 0.63X Wide Angle lenses. The combination can increase 49% wide angle lens effects. ★198 °Fisheye Lens. It produces strong visual distortion intended to create a hemispherical image.Capture your world in its incredible 198°viewing field for dramatic rounded photos. ★ 2X Telephoto lens. 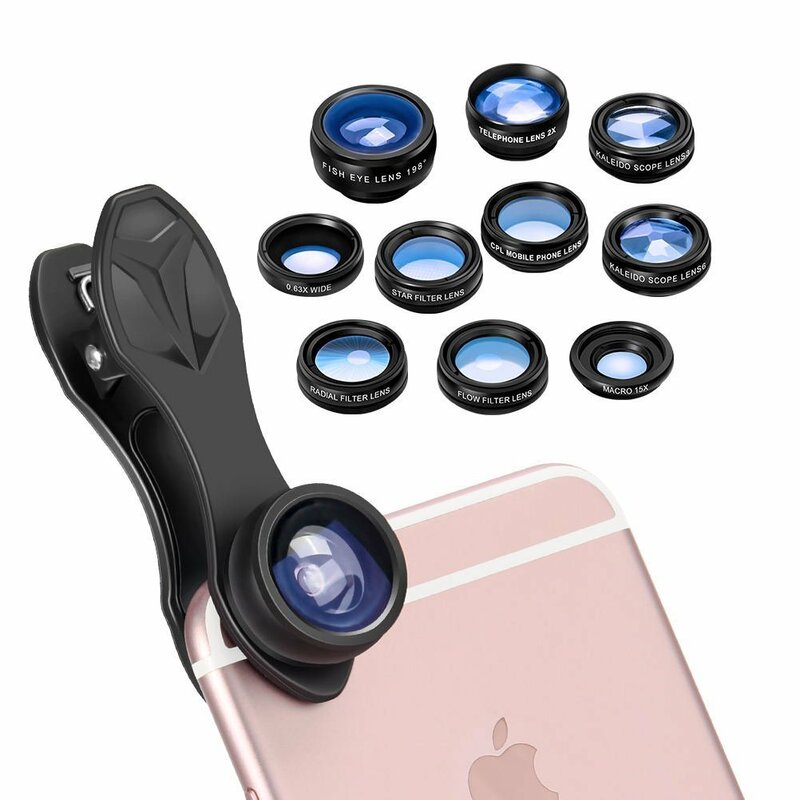 Telescope lens can take clear photos of far distance. 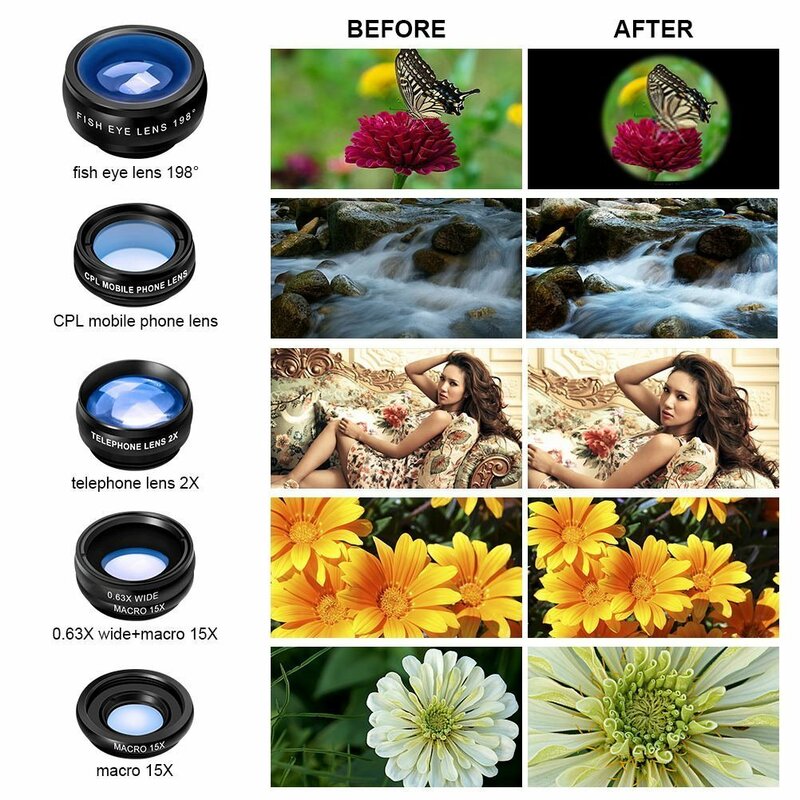 ★Circular polarized lens (CPL lens). The polarizer is to selectively pass light that oscillates in a certain direction. 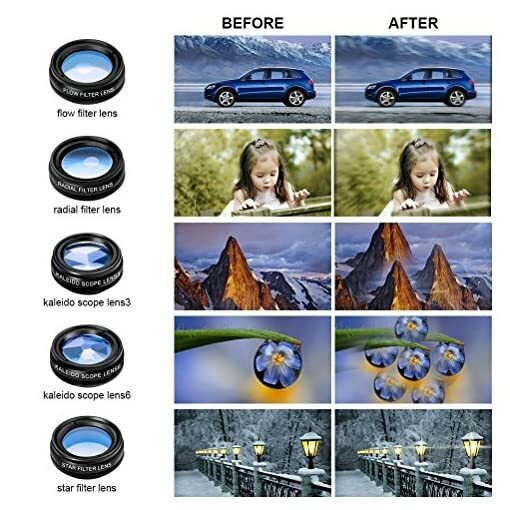 It is often used in black and white photography to eliminate or reduce the strong reflection of non-metallic surfaces, thereby eliminating or reducing the light spot. ★Kaleidoscope lens 3/6. Bring you a wonderful kaleidoscope world with a scene overlap.It is very magical that you can see a lot of the scene image overlap through the kaleidoscope lens. ★Flow filter takes the static object into dynamic effects,you can take a creative photo no need any image software. ★Star filter adds a dramatic Star flare to very bright areas. ldeal for photographs of night scene and ladies wearing jewellery or other objects with strong reflections. 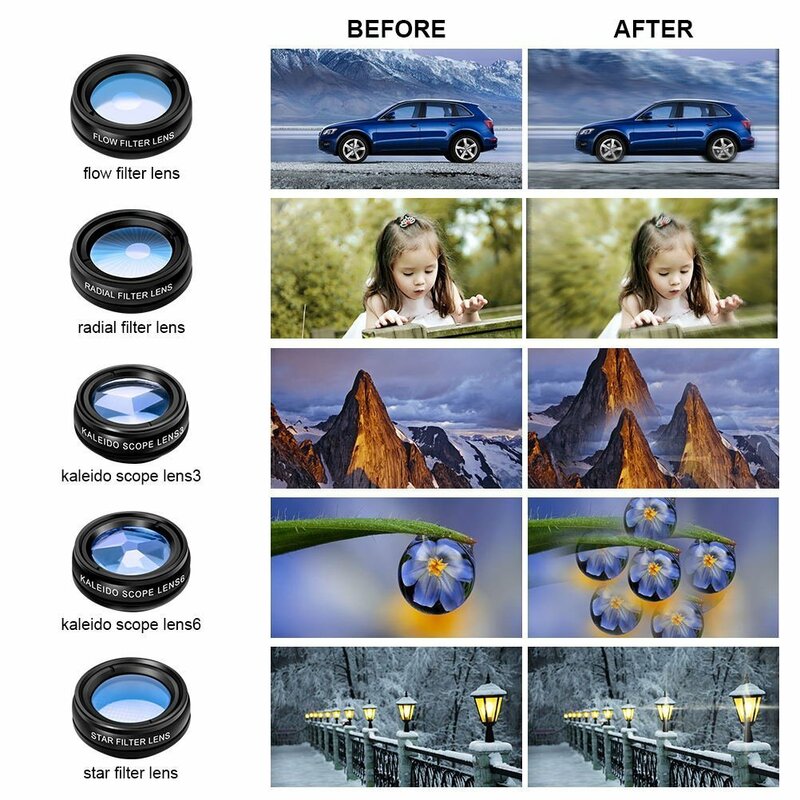 ★Radial filter allows you to shoot a radial visual effect,which helps you to easily capture avisual impact photo. ♥To use the macro lens, simply unscrew the wide-angle lens. 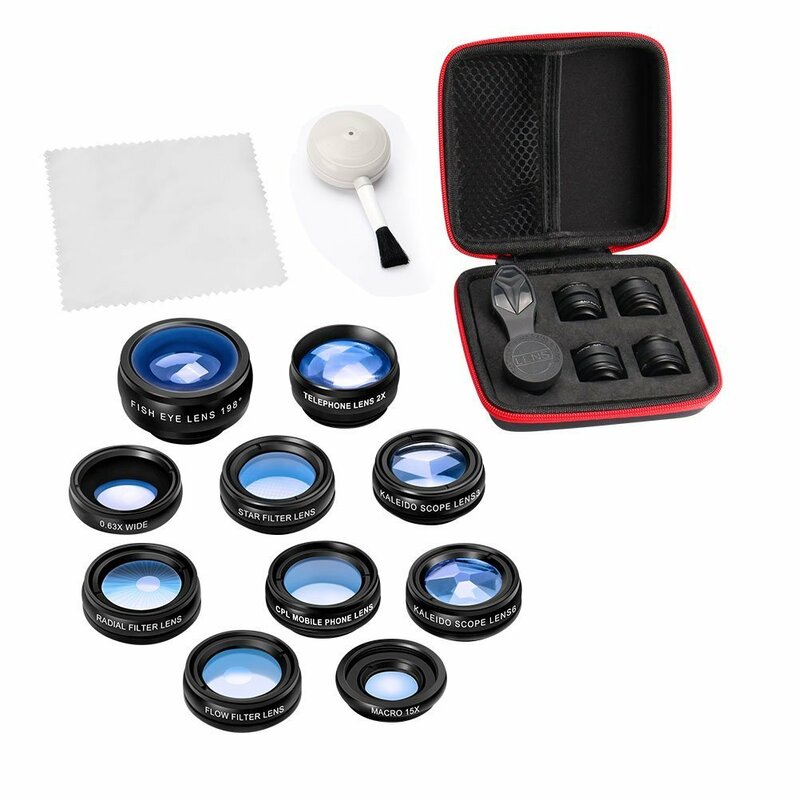 ♥ Dust&Slip Protection: These lenses are made of aluminum which guarantee the product’s durability. Coated frosted paint feels great! 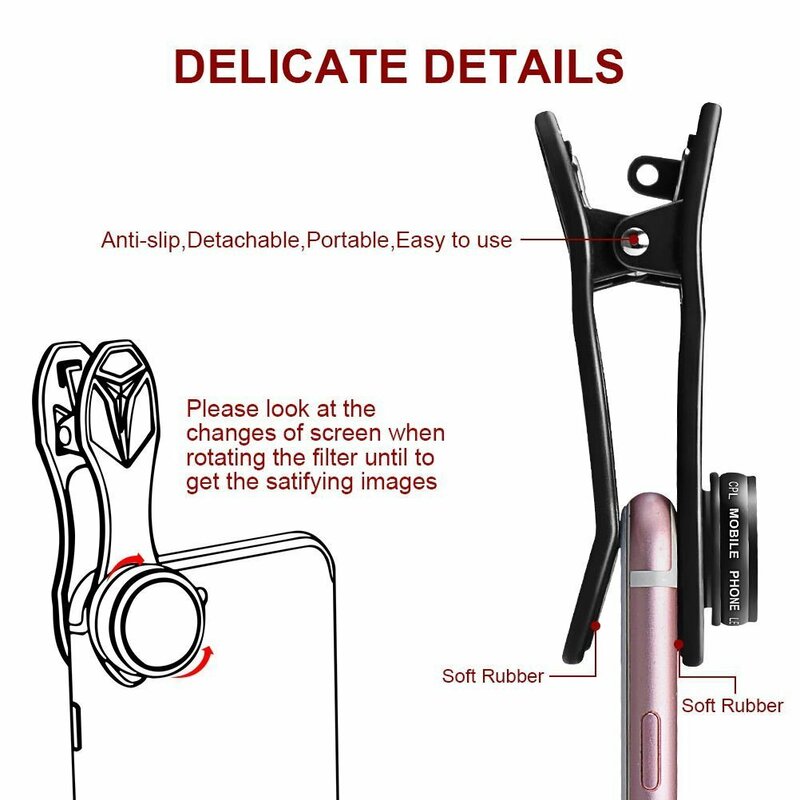 included lint-free microfiber cloth and dust brush used to clean the lens and drain the trapped dust in the thread. 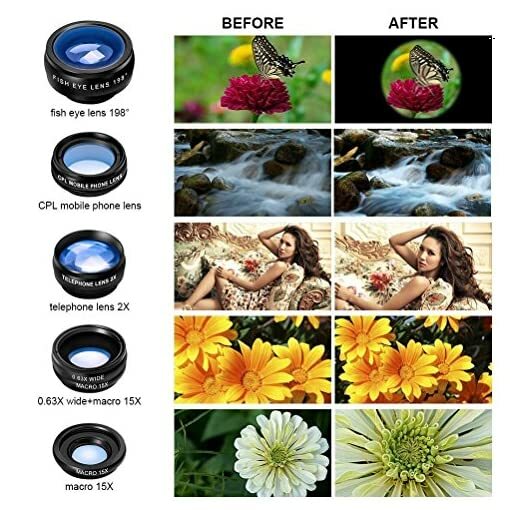 ♥ 100% Customer Satisfaction After-Sales Service: One Year Warranty provided, The wide angle and macro lens are screwed together NOT LENS MISSING. If you have problems, please feel free to contact us. We promise a new replacement or 100% money back.